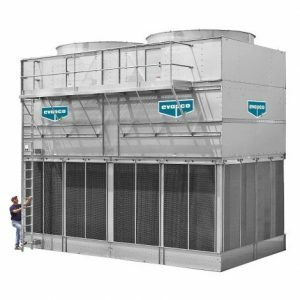 Induced or forced draft open Circuit cooling towers are available in galvanised steel, stainless steel grades or fibreglass depending upon required corrosion resistance. Cooling towers, such as the LPT, can be designed to meet height restrictions or low noise requirements. Ease of maintenance is increased through easy basin access and belt drive system.